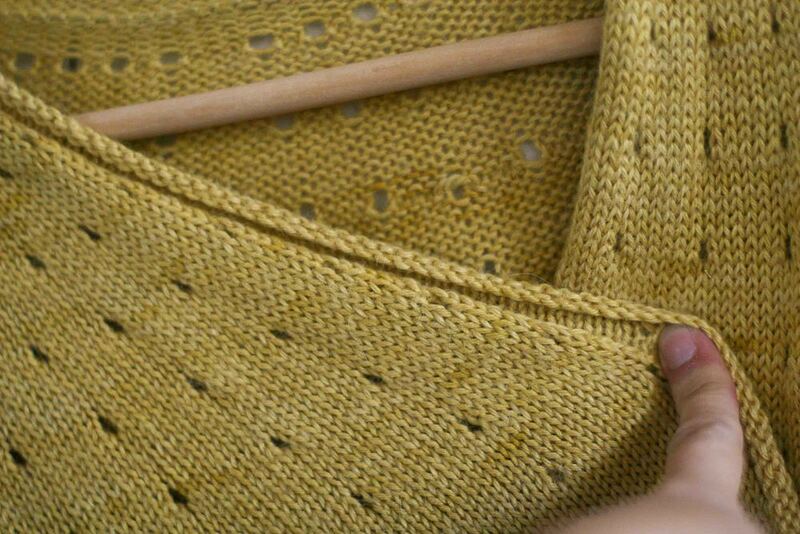 This topic is so close to my heart - I love a lovely yarn - working with it and the resulting garment! I have discovered over many many years of knitting that I mainly wear lighter cardigans. And I have also discovered that in order for a cardigan to be a successful-almost-year-round cardy then it needs to be knitted in a lighter weight yarn. Light weight cardys have more seasons - even in the summer they are on regular rotation whereas my thicker cardigans and jumpers really only get a good work out in the winter. Now you may or may not know this about me but I have knitted a few things in my time. And I have tried many many yarns. So I thought I would share some of my favourites - yarn that lasts and wears and is nice to knit with. And just so we are on the same page I should define what a lighter weight cardy is - yarns and patterns that have a gauge of between 21-25 stitches per 10cm. Please note that obviously yarn choice is a matter of personal taste and you might completely disagree. Please do! I would love to hear about it in the comments. i would also love to hear some of your favourites. Things that I haven't mentioned. Before we start we should talk a little about terminology. In Australia we often refer to sport weight yarn as a 5ply and dk as an 8ply yarn. These terms are a little deceiving as the size of the yarn doesn't actually relate to the number of ply. So an 8 ply can be a yarn that is a single ply yarn but is the right size (in other words has about 100m+ in every 50g ball). So DK yarns are ones that knit up between 21-22 stitches per 10cm and generally have from 100m+ in every 50g ball. There are many many exceptions to this including most of the yarns mentioned below. A Sport weight yarn or 5ply is one that knits up anywhere between 23-26 stitches per 10cm and generally has from 125m+ in every 50g ball. This pattern Seamless Blue uses the same yarn at different gauges to achieve different sizes (and a different fabric). Both of these types of yarn can be used for patterns with a gauge of between 21-26 stitches per 10cm. 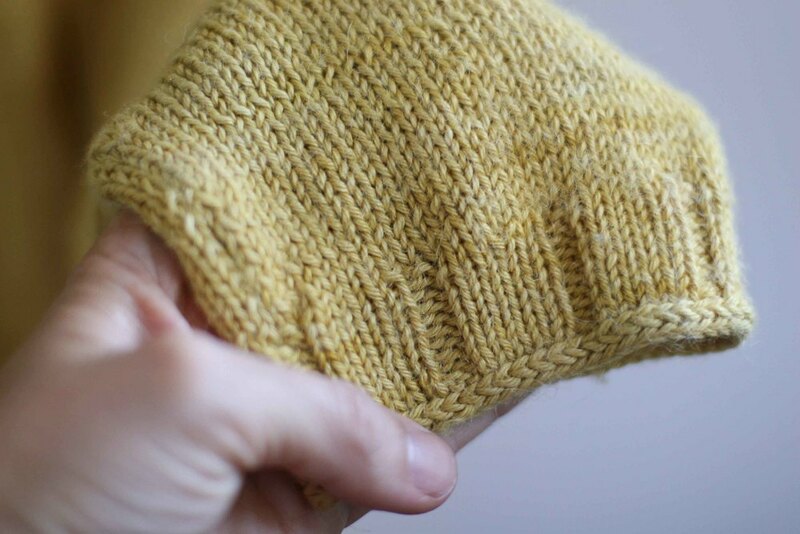 What I mean by this is that you could use a sport weight yarn with a recommended gauge of 24 stitches per 10cm in a pattern that wants you to achieve a gauge of 22 stitches per 10cm. You just ignore the needle size suggested on the pattern (as you always should as your own tension with a given yarn and needles will not be the same as someone else's!) and keep changing the needle size until you achieve the required tension. Sometimes stretching a yarn outside it's recommended gauge leads to a terrible loose holey fabric or conversely one that is too stiff, but sometimes it creates something magic. The only way to find out is to experiment with the yarn to determine if you can achieve the gauge you want and still like the fabric. (There is also Ravelry if you are fighting need to swatch but this takes you into dangerous territory). I have learnt over time that I really like light weight DK yarns. They are dk yarns because they achieve 22 stitches per 10cm but often have a really long yardage/meterage. The reason I like them is because they create a light fabric rather than a super dense one. Again a matter of personal preference. Ask me questions about any of this is I have confused you. It is late and I only have a moment to get this post done so may lack some clarity - apologies. So without further ado and in no particular order here is my go-to list for sport weight or dk weight yarns. Oh my oh my how I love love this yarn. So far the only thing I have made out of it (completely circumstantial) was my Vitamin D minus the flaps you can see below and on Ravelry. Terrible pictures but this yarn and this cardigan is insanely wonderful. It is lovely to knit with with a good twist and nice stitch definition. Warm and light. And the colours are incredibly beautiful and I believe hand painted. They are so incredibly rich. I love a semi-solid yarn and Lilith (owner) does it perfectly. The colour in many of her yarns is mainly solid with just a little semi to give it some depth and lift. It is a drapey yarn without much elasticity but it doesn't really stretch like cotton would so it retains it's shape. I took some pictures of it this morning and it I swear I did nothing to make it look better - just chucked it on a hanger. It looks this good after two years of solid wear. I treat it mean. There is not a pill on it. Check out those underarms. My lovely friend Karen in the US did a knit along with me recently using this yarn in the gorgeous Dreich colourway and you can see her version of James here. 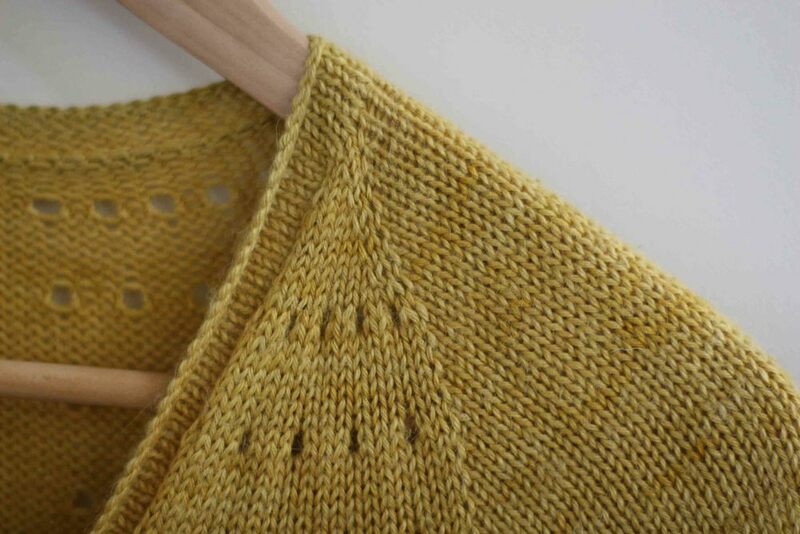 Even with her iphone photos you can see the semi solid nature of Old Maiden Aunt's colourways. Other colourways of particular note are the gorgeous Brass Taps and Oak, Last Night's Red Dress and Lon-dubh....and I could go on and on but you need to go look yourself. In contrast I have recently used another Alpaca Silk yarn blend that has a similar makeup and it was super splitty and is now pilling after a few weeks of wear. You can buy it direct from the source here and they have very reasonable shipping - and is lovely. Find it on Ravelry here. Vital Stats for Old Maiden Aunt Alpaca Silk Sportweight are Alpaca 80% Silk 20% - 100g - 255m - 22 stitches per 10cm. I have an ongoing love affair with Rowan Felted Tweed. I realise it isn't the coolest yarn. It isn't even 100% natural fibres - there is 25% viscose - which breaks all my normal rules. BUT there is nothing like this yarn on the market. There is a lot to love! It is a beautiful light DK weight yarn that knits up between 21-24 stitches per 10cm. Unlike most yarns that achieve this stitch gauge it has super long yardage - 175m. And that isn't a typo!! Which makes it super economical. This stuff goes on and on. So for the cardigan in the picture below I only used 6.5 balls. Crazy cheap for a beautiful sweater. Let me tell you about the yarn's magic. It is a blended yarn and is not spun in the same way that more common yarns are spun. And it means that the resulting knitted fabric looks more like a piece of fabric rather than knitting kinda. The yarn looks flat rather than round. It is so pretty. Plus has the added bonus of making unevenness in tension look less uneven. 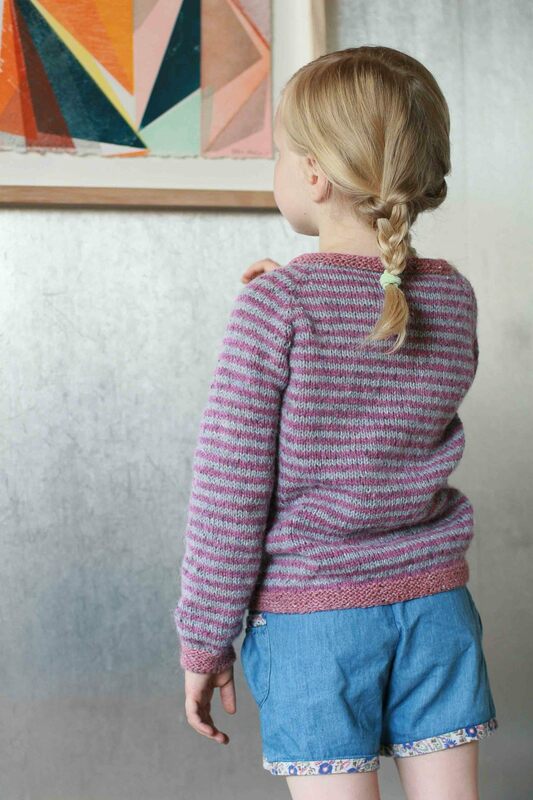 Felted Tweed comes in a range of the most stunning tweedy colours that all go together beautifully. Which is great for colourwork but also for making scrap sweaters for kids. All three of the sweaters below were made out of scraps and single balls I had. Felted Tweed doesn't feel the softest on the ball but blooms beautifully with it's first wash. My kids call them their cosy sweaters. 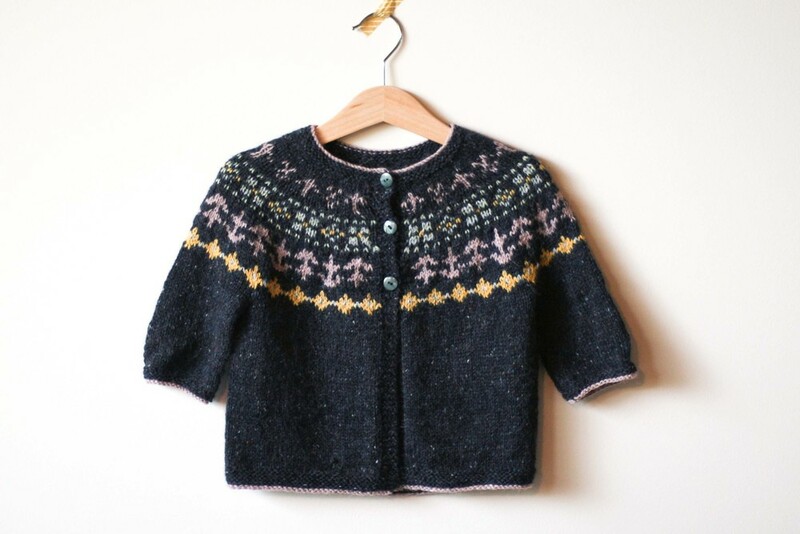 And it due to the lightness of it it is a lovely yarn for kid cardigans. 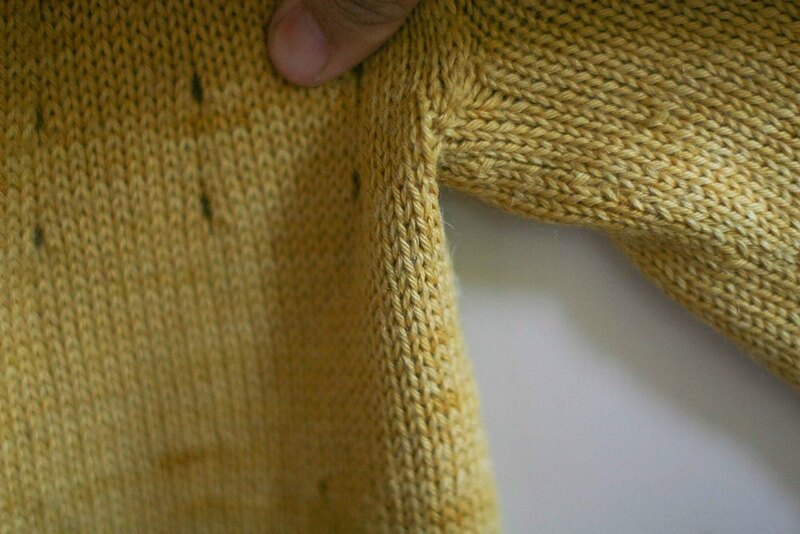 I find mine get hot in anything much thicker than this but it still knits up quickly. It does have a couple of small downsides (which I don't care about at all because it is so fabulous and I know them so work around them). Over time it stretches and needs to be washed and resized. It does pop back into shape but it lacks the elasticity that normal wool has. And it breaks. You can't yank on it like a more traditionally plied yarn. Which can make sewing up a bugger of a thing to do. I have and will continue to use this yarn over and over again. Vital Stats for Rowan Felted Tweed are 50% wool,25% alpaca and 25% viscose - 50g - 175m - 22 stitches per 10cm. It has a cousin in Felted Tweed Aran which is a magnificent yarn which has 16 stitches per 10cm and is super cosy. However, it has only OK yardage in comparison and the colour palate isn't that special. I'm hoping it gets better with time as I fancy a cosy winter sweater out of it one of these days. I was going to use it for Cinnamon Girl but I couldn't find a colour that worked for me and my current wardrobe. So I've run out of time tonight and will have to split the post up into a few bits. Let me know if you have any burning questions. PS. All the pattern information can be found on my Ravelry page. I have just run out of time to label them all.